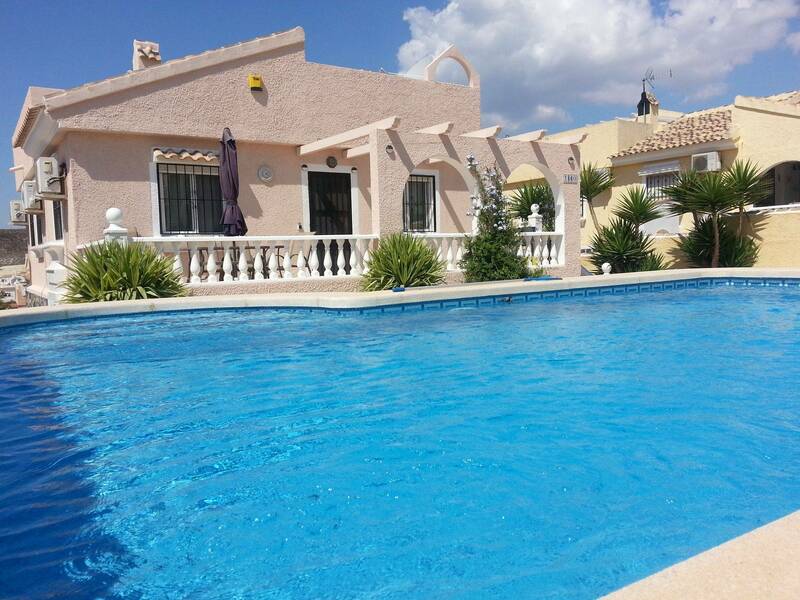 You can rent this lovely detached corner 2 bed villa with private Roman Ended Pool. 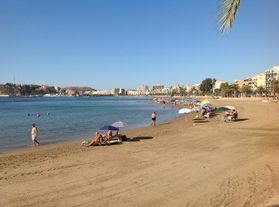 Only 15 minutes from some of Spain's beautiful Beaches. Comfortably sleeps 4 Family friendly, inc Travel Cot, High Chair and Baby Monitor, at no extra cost. 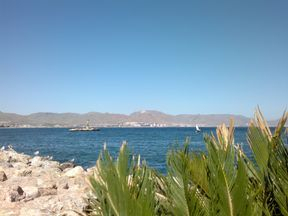 Murcia has the typical Mediterraneansemi-arid subtropical climate. 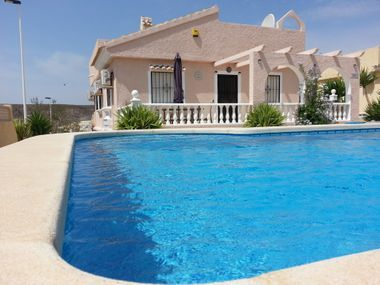 The villa has a large lounge with dining area which has ceiling fans as well as Air Con and fully equipped open plan kitchen which includes Fridge Freezer, Integrated Oven and Hob, Microwave Oven, Toaster, Water Filter, Cafetiere as well as cutlery, crockery, utensils cookware etc. 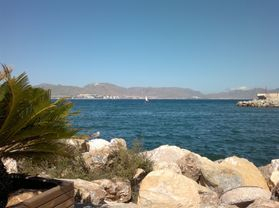 Both bedrooms have Air Con as well as ceiling fans and built in wardrobes. The main bedroom has a double bed and on-suite bathroom with W/C and bidet. The second bedroom has twin beds. There is a separate shower room with W/C and washing machine.